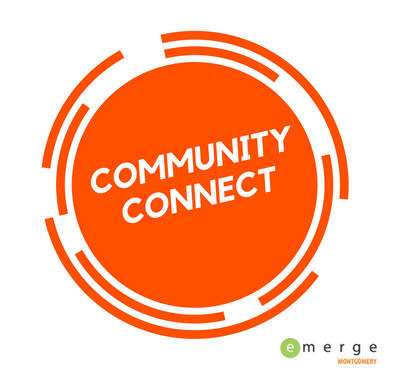 The goal of the new Community Connect committee is to act as the large scale service arm of Emerge Montgomery. We are teaming up with the Squadron Officer School to connect 6 classes of 700 officers to large scale volunteer needs in Montgomery. Community Connect is also teaming up with Serquest, a locally based online platform that provides volunteer recruitment and management for non-profits. We are excited to utilize the Serquest platform to connect members of the Community Connect committee to volunteer needs in Montgomery that we can take action to meet! Want more information on getting involved? Email Bill Alexson at billalexson@gmail.com for opportunities to serve! Emerge Montgomery is excited to be taking over the Gumption Fund, a micro grant fund that funds small projects and ideas that benefit the community of Montgomery. Previously developed and nurtured by Montgomery's Downtown Business Association, Gumption Fund has dispensed micro grants to many creative projects around town since 2015, including the Montgomery Bike Club downtown bike racks, Cloverdale Community Garden, and most recently the Rotary Dog Park mural at the corner of Coosa & Bibb Street. In an effort to encourage and reward young professional leadership, we introduce the new Pillar Awards! More information coming soon... stay tuned! Click the RRYPC logo to find out more about this exciting new committee! Ready to become a part of the YP community of Montgomery?